The face of the Shechina reflects 49 pure sides with light coming out like a Lily with the colors of red and white. It implies Right and Left, Chessed and Gevurah. The white color represents the humility form the side of Chessed. Red represents the fear and awe from the side of Gevurah. Zeir Anpin, the groom, brings the Shechina the green color that represents the central column. The color itself comes from the sun whose root is in Binah. When Malchut and the Shechina receive the light from the three columns, the light of 72 ‘faces’ is revealed with 216 letters. חסד, Chessed, numerically 72 and Gevurah, גבורה, which is numerically 216. This is the secret of the beginning of the verse that reveals the thirteen attributes of God. The word וַיַּעֲבֹר has the same letters of עיבור (pronounced ‘Ibbur’), which is the process of ‘impregnation’. When the light from Zeir Anpin is passed down to Malchut it is called Ibbur. A woman (vessel) that connects and accepts the seed (Light) channeled through a man, becomes impregnated. The central column is represented with the letter V ואו and it has numerical value of 13. A leap year in Hebrew is called ‘impregnated’ year, meaning it received additional light. The Zohar reveals to us that the three letters ואו, are the initials of three names from the 72. 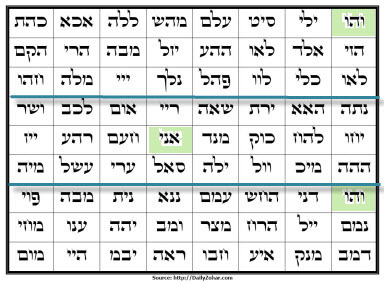 The first letter Vav comes from the first name והו, the Alef if for the middle one (pos 37) אני and the third Vav is for והו name that begins the third part (3×24) (pos 49). The 72 names are constructed around the aspect of three for their support of the three columns. 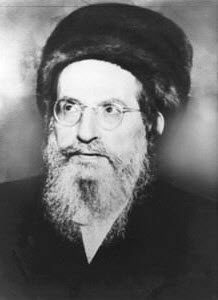 The connection and impregnation process is done through Yessod that needs to draw the Light from Chokmah that is represented by the letter י Yod. This letter charges the ‘drop’ of light that is channeled down doing the actual impregnation of the vessel. Drawing the light to Malchut requires higher connection to Chokmah because other wise the vessel can not be impregnated and manifest the higher light.